What began as a joke between local disc golfers in late 2014 about making something a bit more difficult than the nine-hole birdie race in town has now blossomed into a championship caliber PDGA National Tour course. Sporting the name and color scheme of the local high school, The Eagle is open for business. 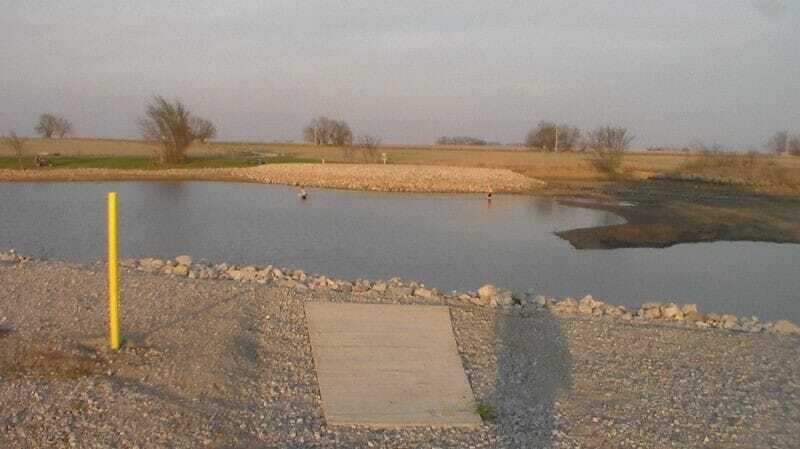 Officially named the Eagle Disc Golf Course at Olpe Lake, the track — unlike its origins — is no laughing matter. With an expected Scratch Scoring Average (SSA) to be near 63, this will be more difficult than any course the National Tour offered last year and will likely lead the way for this year’s choices, as well. Mike Smith, Charles Harper, and Ron Ziglar received permission from the city of Olpe — just a few short throws outside Emporia — and got to work. 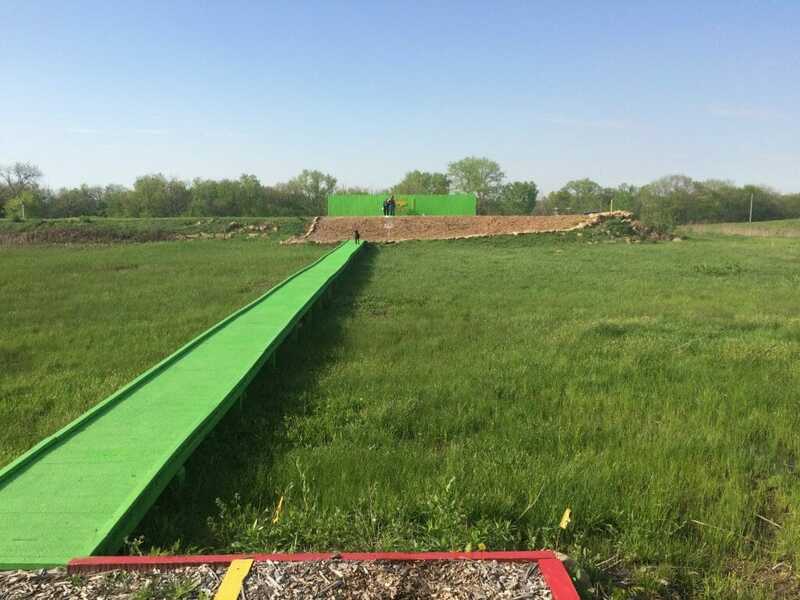 From making deals with utility companies for remanded telephone poles to graciously handling neighbors who enjoy destroying property — and even building moats, literally — these guys have done everything in the last two and a half years to bring this incredible course to the Glass Blown Open. Their work came at a perfect time, when the demand to play the GBO was outgrowing the capacity of the courses in town. A strong partnership was quickly formed quickly with Dynamic Discs when the group’s work ethic, dedication, and love of the game was displayed so frequently. 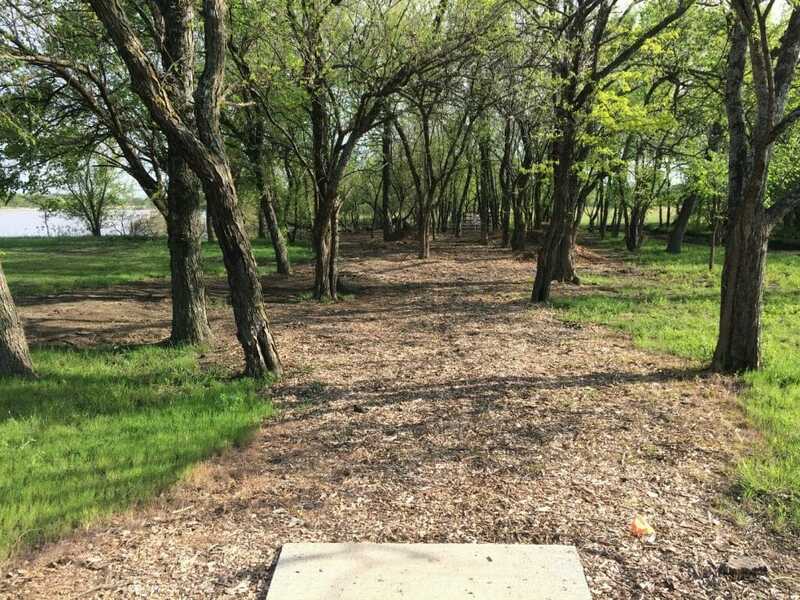 With very little experience in designing or building a disc golf course, the resulting project — and its 8,315-foot par 60 layout — is truly amazing. Hole 1, affectionately nicknamed “The Bouncer,” lets you know whether you should be at this course. It’s a 360-foot island shot, with the last 200 feet carrying over OB. And while the distance is a factor, it will not be the most important aspect for the player. Emporia is known for its affinity for high winds, and Olpe takes that fondness to new levels. The prevailing, and expected, wind at the lake comes as a right to left tailwind on this hole, leading to kite-like hyzers, flat putter shots getting dropped quicker than Fast and Furious movies, and curse words being uttered before a player ever leaves the first box. To the bolder players the idea will seem offensive, but the lay-up shot short of the drop zone will be a smart play for some. This will leave a slightly downhill, approximately 250-foot shot with a high success rate at getting on the green for the par 3 putt. The Eagle will throw several par 4s at competitors, beginning with the picturesque hole 3. An aggressive tunnel shot that doesn’t venture into other lanes on the landing will leave the player with under 200 feet to the pin. All they must do now is navigate the low ceiling and clear the 60-foot wide creek that sits just 25 feet short of the elevated basket. Still, even if they play safe and overcook their second shot, thorny bramble and blocked putting lanes await. On some holes The Eagle will ask the player to control their release angle to a specific degree. In other locations, the landing is paramount. 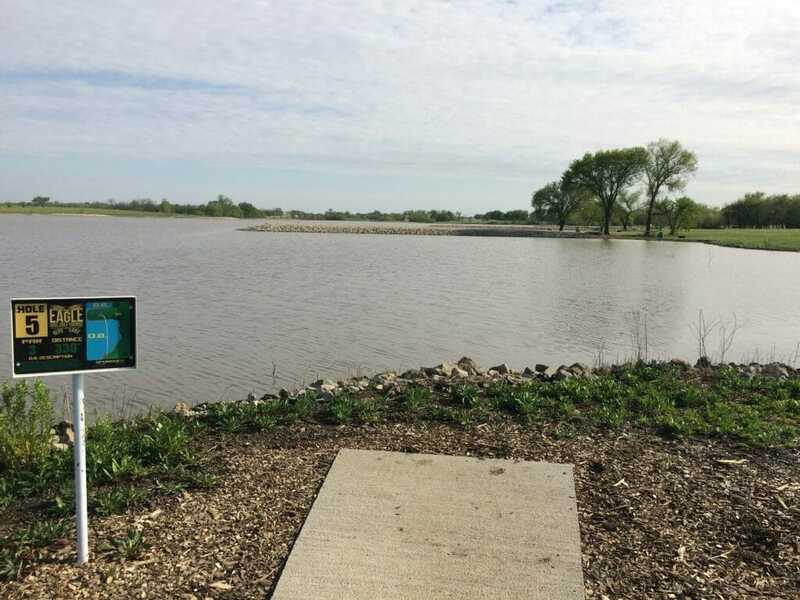 Hole 5 asks one simple question: “Can you control your distance?” A 330-foot hole with a 300-foot water carry, there are no obstacles between the tee and the basket. It’s just the player, the wind, and the water. This is the first of four peninsula greens, all of which measure approximately 70 feet wide by 150 feet long. 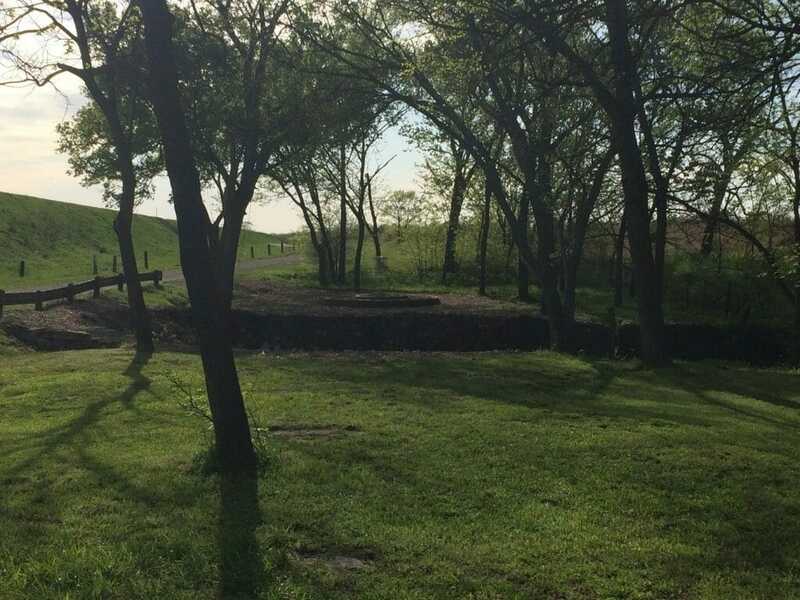 That’s a massive landing area by all disc golf standards, but they appear frighteningly small when the waves are lapping, the wind is in the face, and the player’s favorite disc is on the sacrificial altar. 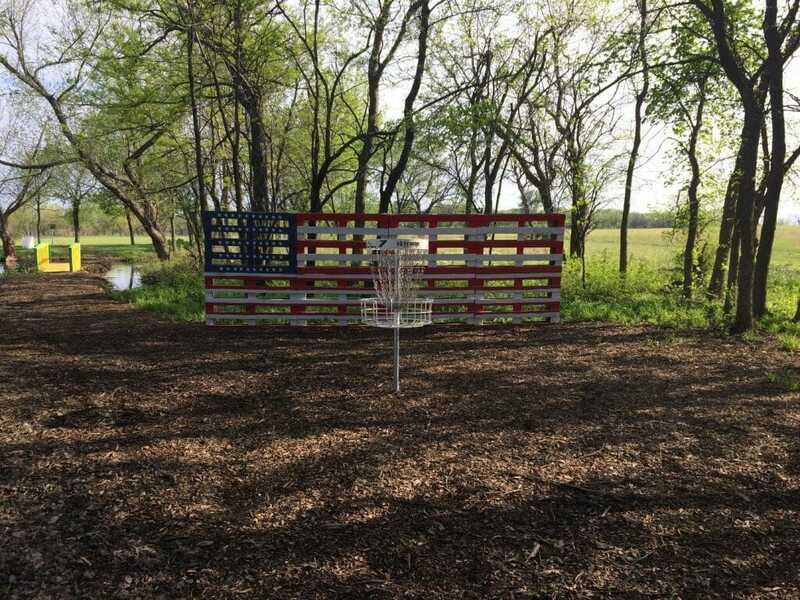 The shortest — at only 230 feet — and tightest hole on the course provides one of the coolest greens in disc golf, at least to this American. Hole 7 is a simple righty flick that has to hit several 10 to 15-foot gaps. That shot must also fly directly toward the water before clambering back to the safety of the mulch. The reward is a putt and an uncommon 2 written on the scorecard with “America the Beautiful” playing in the background, maybe. Hole 12 is a true par 5. 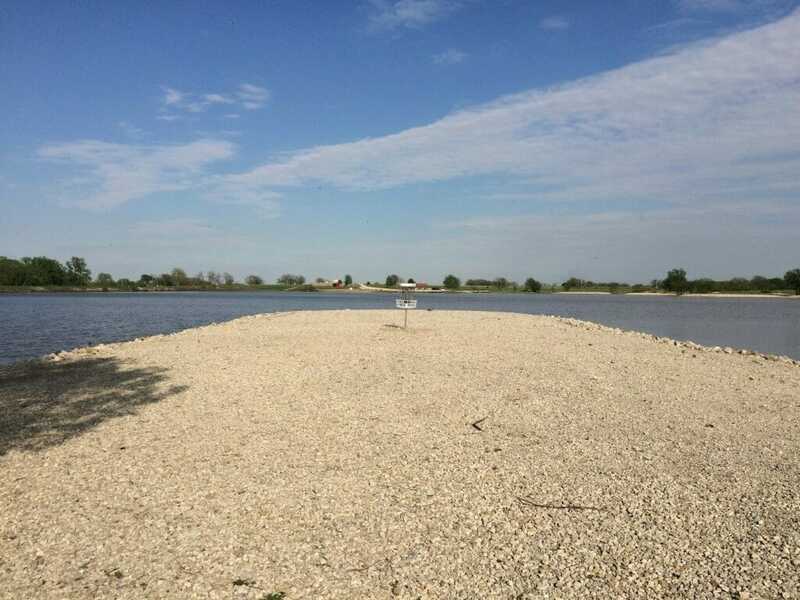 While rare enough for the disc golf world, this one boasts an island to escalate the individuality. If a player seeks the eagle 3, they must make the decision on the box and play with their heart in their throat until the second shot lands. Measuring in at 840 feet, the first 400 of those are slightly uphill, and the last 150 sport yet another water carry. Most players will elect to lay up short of the drink, leaving the third shot needing to travel approximately 200 feet to an ample green with speed-killing mulch. Three quality shots and a true putt are all that are needed to walk away from this hole with the birdie, but the ground will be littered with golfers wondering how they got such a high number from this hole. The round concludes with the third shortest offering. The test that was given on hole 5 is repeated on hole 18, with the green angling in at 11 o’clock as opposed to being perpendicular to the tee, and the OB paragraph in the caddy book lets you know how important it is to land dry. Just one little hyzer and a cleanup putt will allow the player to leave with a smile on their face — unless they are on their fifth driver because the other ones have gone swimming and their card has more circles than a geometry class. To paraphrase Jack Nicklaus, you can’t win the GBO on Thursday, but you can sure lose it. The Eagle will see to it that some players are out of contention before eating dinner on the first day of the tournament. Those that can be aggressive when appropriate and smart when needed will live on to challenge Jones East and the Emporia Country Club. The rest will be, metaphorically, swimming with the fishes. Although, they could be doing that quite literally as they attempt to restock their bag for round two. 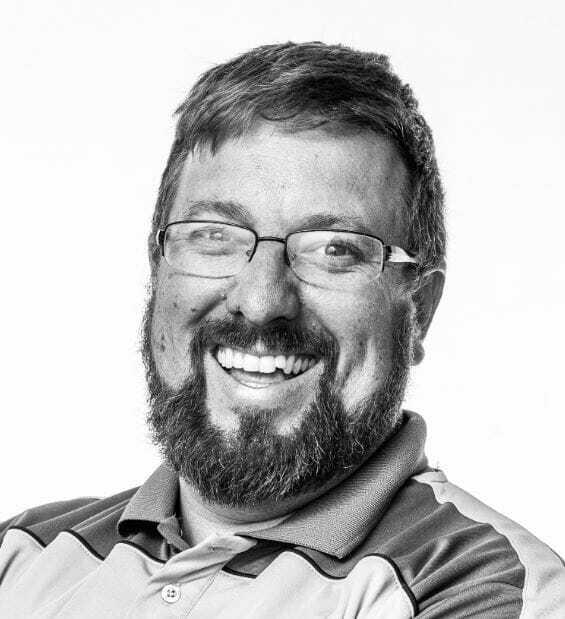 Dixon is the self-employed lover of all things disc golf and hosts the On the Box with Dixon Jowers podcast. He used to be a much better disc golfer and is hoping to just not throw OB these days. 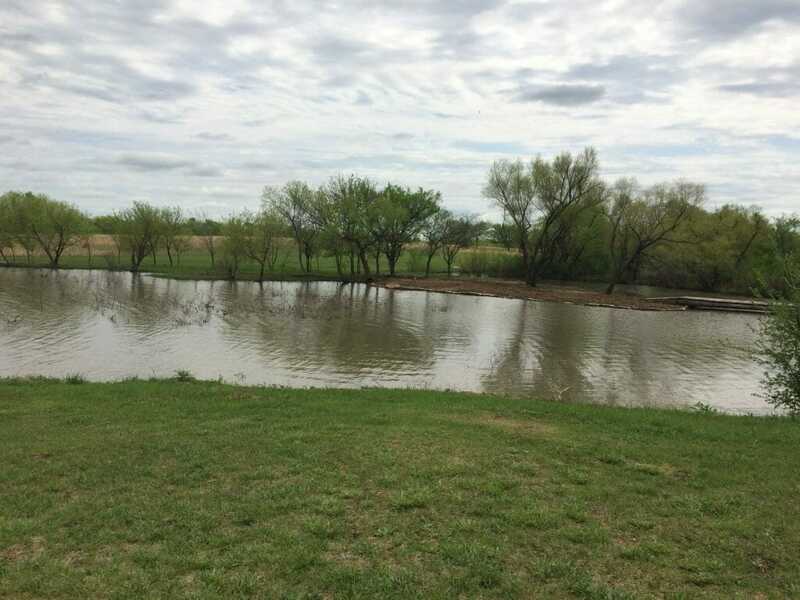 Comments on "The Local Route: Eagle Disc Golf Course At Olpe Lake"